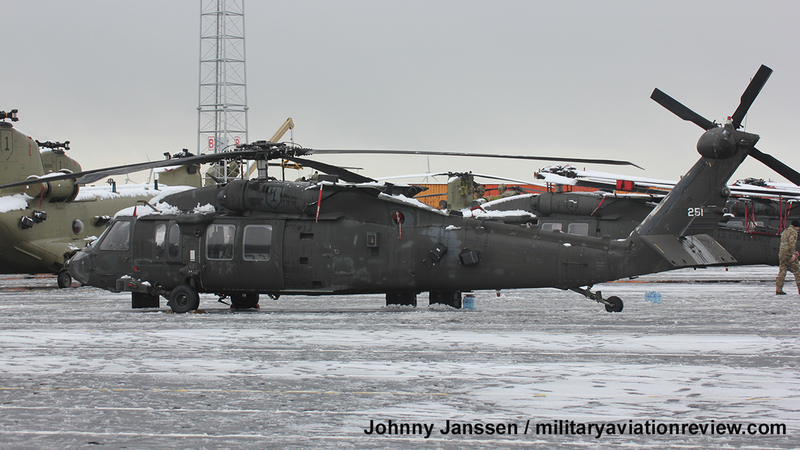 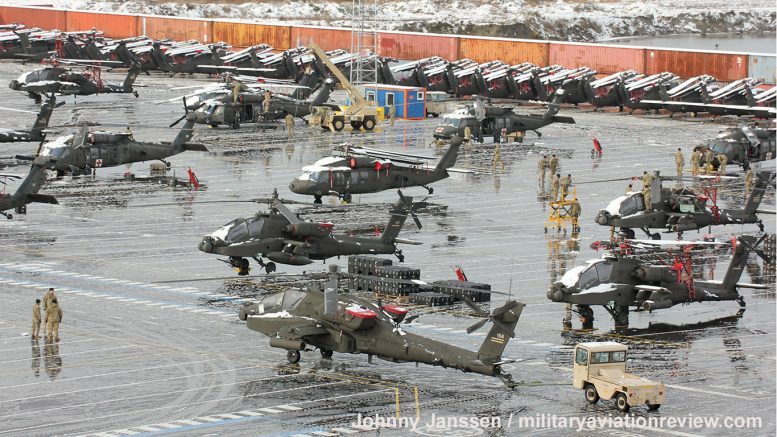 On January 29, 2019 eighty five United States Army helicopters from the 1st Aviation Regiment, stationed at Fort Riley, Kansas, arrived at Zeebrugge Port in Belgium. The following day the first helicopters flew to Chièvres Air Base, before moving to their operational locations across Europe in the coming days. 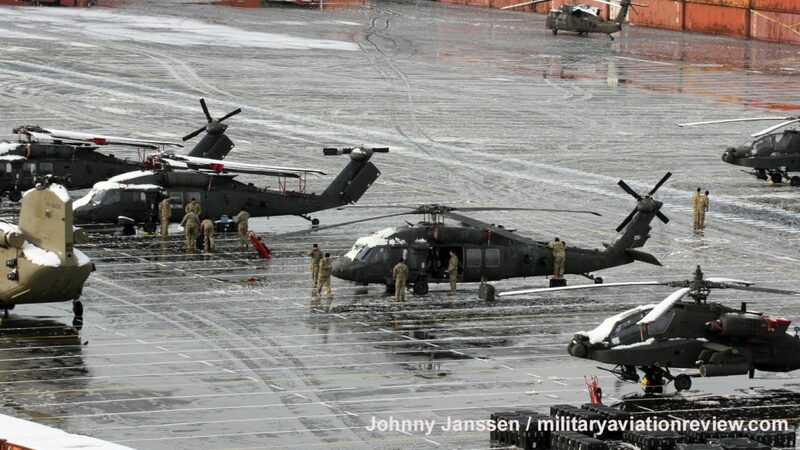 The total deployment is made up of x8 UH-60Ls, x15 HH-60Ms, x12 CH-47Fs, x26 UH-60Ms and x24 AH-64Es. 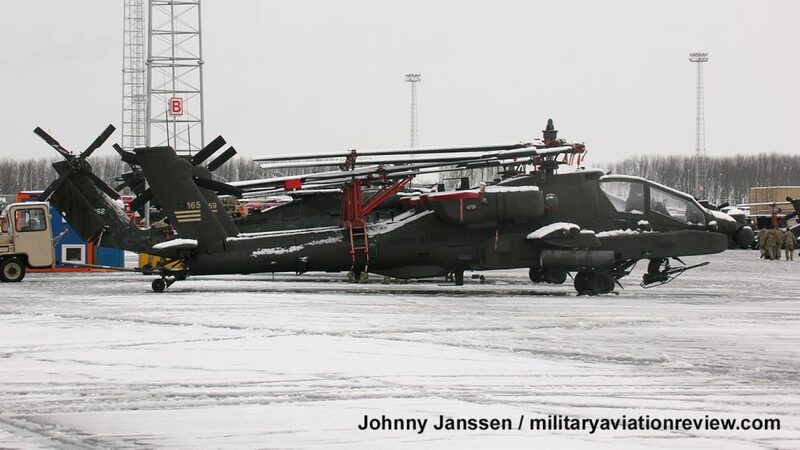 Ansbach and Illesheim in Germany will house the majority of the helicopters while forty four helicopters will forward deploy to air bases in Poland, Latvia and Romania. 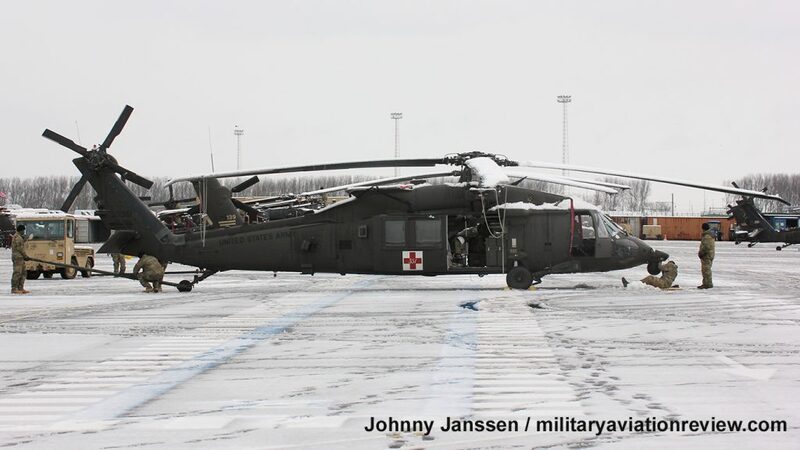 The 1st Infantry Division Combat Aviation Brigade (CAB), will replace 4th Infantry Division CAB, stationed at Fort Carson, Colorado, as part of a regular rotation of forces to Europe in support of Operation Atlantic Resolve. 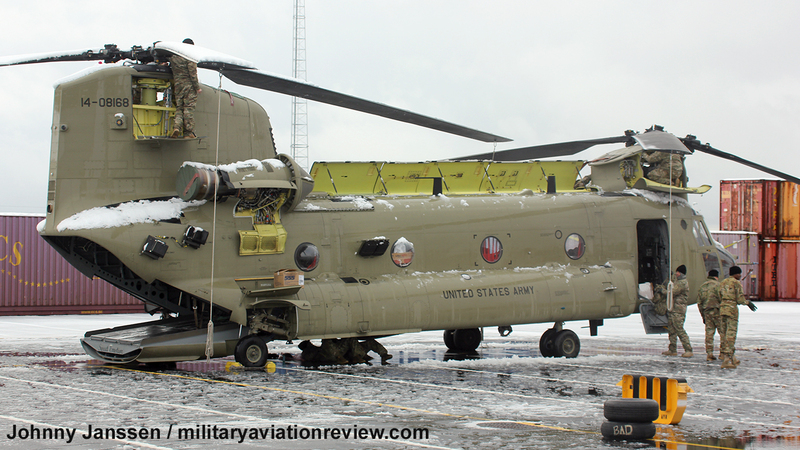 A full report on the deployment will appear in the next edition of @MAR.